Much of the credit belongs to Davidson, who is not your typical Tory. Just 37 years old, Davidson left a job as a radio commentator and journalist for BBC Scotland during the 2000s to run for a by-election in 2009 in Glasgow. She lost that race, but she won a seat on the regional list in 2011 from Glasgow. In the aftermath of the Scottish Tory defeat in the 2011 regional elections, Davidson emerged as the moderate choice for leader, and she narrowly defeated the former deputy leader, Murdo Fraser, who wanted to restart and rename the Scottish Conservatives. When you think of Conservatives, you think of cautious buttoned-down straight, white Englishmen with posh educational backgrounds like Cameron and chancellor George Osborne. You don’t normally think of a nearly lifelong Glaswegian and a lesbian who enjoys kickboxing in her spare time. 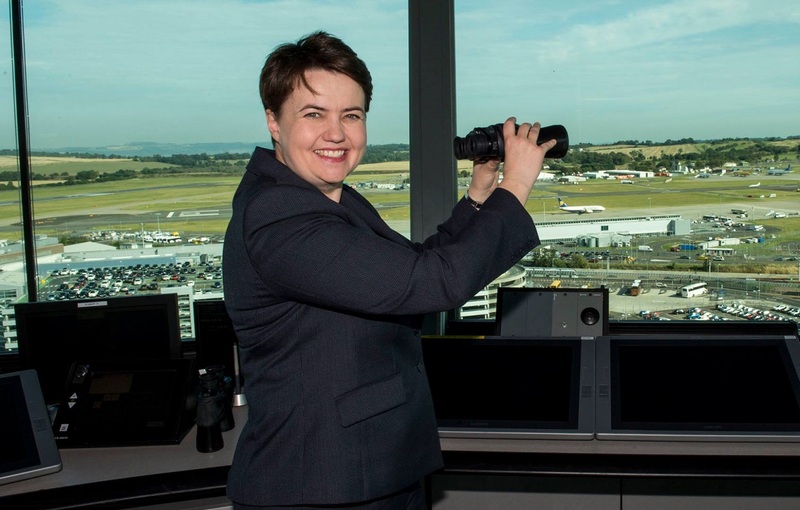 That, more than rechristening the Scottish Conservative and Unionist Party (so named because it united the Conservatives in 1965 with Scotland’s main center-right party, the Unionists), has caused voters to give the Tories a second look. It hasn’t hurt the Scottish Conservatives that Sturgeon and the SNP have taken so many votes from Labour and the Liberal Democrats. 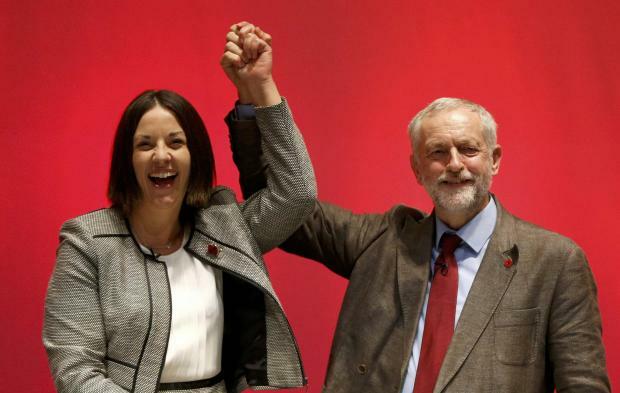 Shortly after Jeremy Corbyn’s amazing victory in the Labour leadership contest last summer, Scottish Labour (for a very brief spell) seemed like it might be able to reinvigorate itself, given Corbyn’s leftist politics. His opposition to the Trident nuclear program, seemed particularly in line with the views of Scottish voters, who resent that it’s based at the Clyde naval base off Scotland’s west coast. The Scottish Labour Party, last August, chose a new leader in Kezia Dugdale, a 34-year-old and a member of the Scottish parliament since 2011. Throughout the race, Dugdale has attacked Sturgeon and the SNP from the left, by taking advantage of a new devolution of fiscal powers to argue in favor or raising taxes on Scotland’s wealthy. So far, Sturgeon has refused to take the bait. That hasn’t hurt the SNP, even though Dugdale has done exactly what you might have expected her to do to win over an electorate that typically sits further to the left than the English and Welsh electorates. Neither Corbyn’s personal appeal nor Dugdale’s progressive platform seems to have won over Scottish hearts. Instead, Dugdale has annoyed unionists by suggesting earlier in the race that she could support a second independence referendum in the event that the United Kingdom leaves the European Union, possibly pushing them toward the more unionist Tories. It even emerged during the campaign that Dugdale once applied to the SNP for a job. Mistakes like these mean that Dugdale has faced complaints she’s not up to the task of challenging Sturgeon’s regional dominance. Davidson, who never pretended that her party had a chance at government, has instead played to Dugdale’s weakness in arguing that the Tories, instead, can provide the best opposition to hold an inevitable SNP government most accountable. Davidson, with equal parts cheer and pluck, seems like a perfect fit for the ‘happy warrior’ role of opposition leader. If the Tories actually do pip Labour into the official opposition role, Dugdale’s future (and Scottish Labour’s) seems grim. The SNP could ultimately outmuscle the Scottish Labour Party into extinction to become Scotland’s party of the left, with or without independence. The national Labour Party — the party of Keir Hardie, Donald Dewar and Gordon Brown — holds exactly zero Scottish seats at Westminster, it’s worth noting. Though Sturgeon waged the 2015 general election campaign on a broad social democratic platform (winning the hearts of many center-left voters in England and Wales as well as Scotland), she’s running the 2016 regional campaign on a very cautious set of policy proposals, including a new program to provide funds to help unemployed 16-to-24-year-olds find work. Despite the SNP’s starring role in the fight for Scottish independence, the 2016 platform doesn’t call for a second referendum. After arguing so strongly that Scotland’s North Sea oil bonanza could form the basis of an independent Scottish economy, Sturgeon has spent the last year boosting efforts to diversify the economy, and she’s built links to business instead of threatening to tax them at higher rates. If the SNP does win over 50% of the vote, it will have been a shrewd maneuver. Meanwhile, Cameron is nowhere to be found on the Scottish campaign trail, and there’s no plan for the sitting Conservative prime minister to do any events in Scotland before May 5. That seems like a wise move, given the toxicity of the English Tory brand in Scotland. The Davidson Tory brand, however, could prove far different.